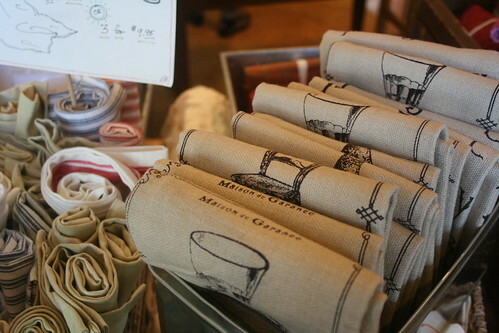 Gina mentioned that the store was getting in some of the new prints and linens from French General's Kaari Meng for Moda. 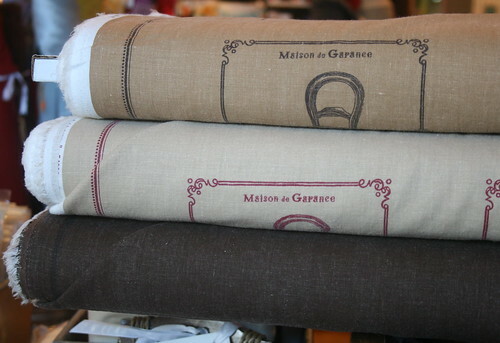 What is difficult to show you in pictures, is how soft and beautiful the new linen happens to be. It is is pillow case soft with a gorgeous drape. Bolt is also stocking several of the coordinating prints (mostly reds) from the Maison de Garance line, whch are all perfectly seasonally appropriate. 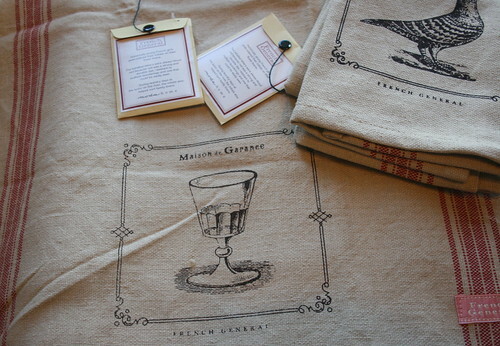 Also new in, are pre-made linen dish towels that come with red embroidery thread and a guide to monogramming. These make special hostess gifts, gift basket liners, and are quick and easy to finish. A little hand made goes a long way-- of course, if you are in the over-achiever category, don't stop at towels! That linen is crying out to be made into special occasion napkins. If you love the ticking stripe and overall aesthetic of French General, make sure to check out their books (also in the store): Handmade Soirees, Treasured Notions and Home Sewn. gina October 29, 2010 Accessories, Fabric, Gift Giving, Home Dec.